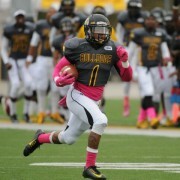 Bowie State Bulldogs vs. Virginia State University - October 13, 1 p.m.
From the OTC Parade to exciting victory against Virginia State, relive all of your favorite moments from the 2018 Homecoming. It was great to have so many Bulldogs back on campus! Let’s do it again next year.